Use the cube editor to create and modify cube dimension and measure groups, along with dimension relationships between cube dimensions and measure groups. Input a measure group's name and associated fact table in the measure group's data grid row. 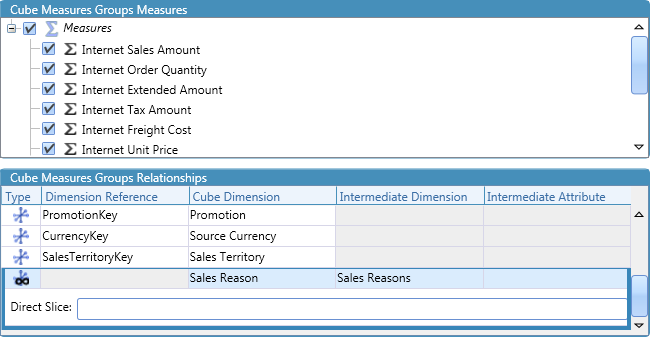 Select a measure group to choose its associated measures, and view and edit its dimenson relationships. Enter a dimension relationship's properties directly in its data grid row. 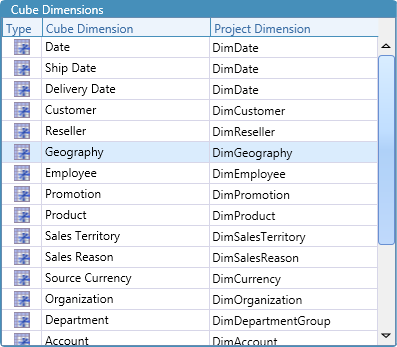 Enter a cube dimension's name and associated project dimension in the cube dimension's data grid row. 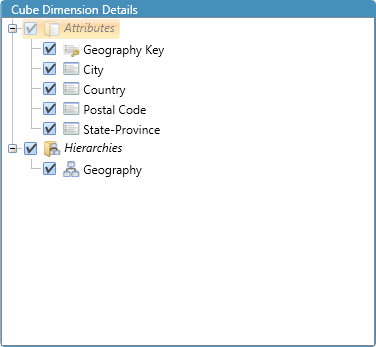 Select a cube dimension to view and change its associated cube attributes and hierarchies. Measure Group Add a measure group to the cube. Dimension Relationship Choose and add a dimension, dimension reference, or many to many relationship to a selected measure group. Dimension Add a dimension to the cube. Infer Cube Dimensions Generate cube dimensions and dimension relationships from project dimensions and measure groups. Infer Measure Groups Generate measure groups from project fact tables. 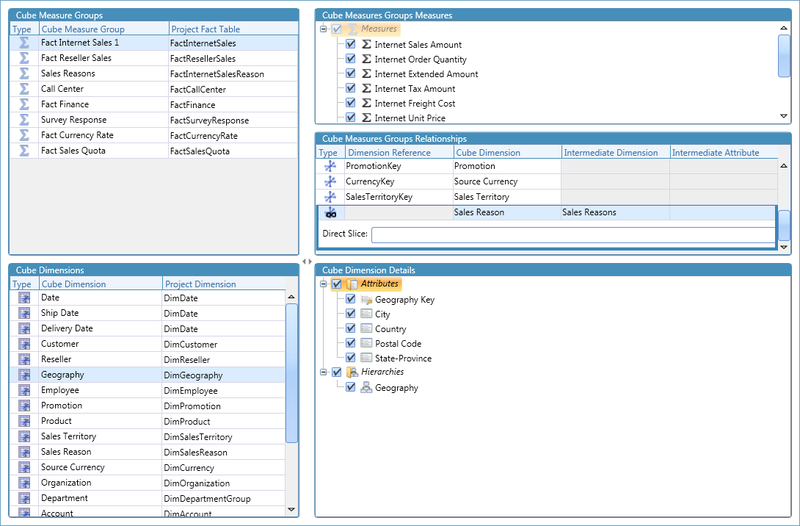 Ensure Dimension References In each cube dimension, add references to its associated project dimension&apos;s attributes and hierarchies. 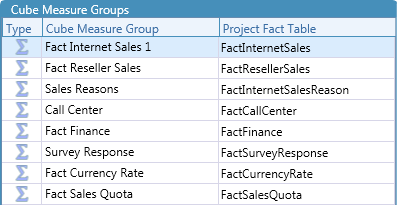 Ensure Measure Group References In each measure group, add references to its associated fact table&apos;s measures.